It has been a year. A year that has gone by so quickly that it is hard to imagine how much has happened since that terrible and fateful day. So much has; but the closeness of that day, the endless memory of it, the clarity of that memory, has seemed to invert the time line. It's as if what happened after transpired first and the devastation yesterday. We were pressed to return to "normal" as quickly as possible. By December it was possible to come within a block or two of the site. Good weather made the work progress quickly, and the dedication of all involved made it an unstoppable operation. Ground Zero soon became a tourist stop. A place to view a piece of history, to pay respects, to take in the awesome amount of destruction. Too, came the less respectful tourists, posing the family in front of the pit as if Mickey and Minnie were going to put their arms around the kids, the video camera rolling. Street vendors plied them with souvenirs, tacky postcards of exploding towers, fake crystal towers, "memorial" books, filled with the endless images of the planes hitting the towers, the collapses, the aftermath. The tourists were back and New Yorkers had something, someone to grumble about. We were back to normal. We were also at war. But unlike the aftermath of Pearl Harbor, this is an invisible war, the enemy is unknown and omnipresent. Our biggest sacrifice to date is our tax dollars and the economy. We don't ration food or fuel, conserve essential war materials, and patch out cloths. We drive more SUVs, drink more fossil fuels and finance the very enemies we vow to destroy. Perhaps the only real parallel to the World War II era is our government's fierce and fast clampdown on our Constitutional rights, the due process that makes us who and what we are. It is debatable how far and how much of our rights we must sacrifice in these times. But we must never compromise all that which makes America great, the reasons why "your tired, your poor, your huddled masses yearning to breathe free" still risk all to come here. America will always have its enemies, but we should never let them win by forcing us to compromise our basic rights and freedoms. We have lost too many brave and innocent people in our short history to accept anything less. 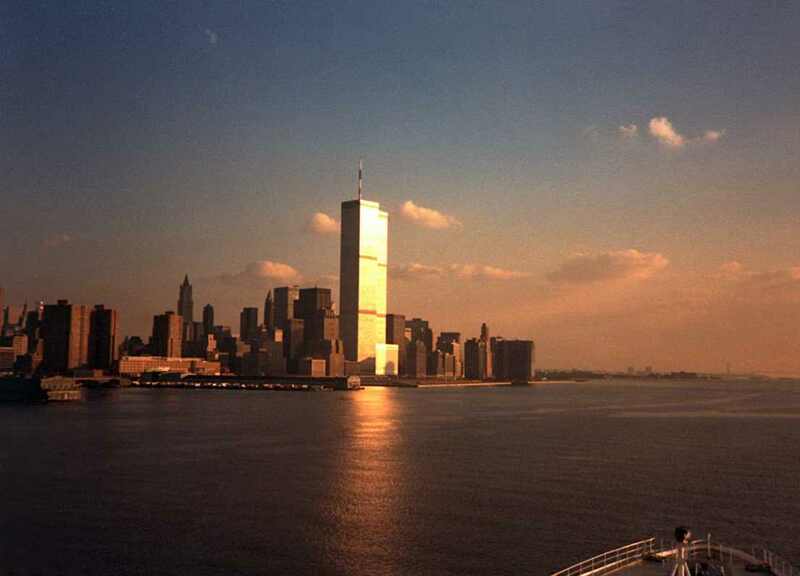 September 11th 2002 will be, for so many, far more difficult then September 11th 2001. It is, the doctors tell us, normal, a component of Post Traumatic Stress Disorder. Anniversaries, especially the first, are far more stressful and straining. Undistracted by the intensity, uncertainty and overwhelming focus on the destruction and tragedy, we are left unfettered to suffer the loss, horror and pain anew. I know I have felt the strain building within myself over the past weeks, and one can see it in the faces, the behavior and the emotions of those around me. But, too, so much good has come from the bad. Although many of us returned to pre-9/11 patterns and behaviors, I believe we have all come to respect how much humanity and self-sacrifice the ordinary human is capable of. And it has taught us not to take every day for granted, to pause and decide what are our priorities. I know it has had such effect on me. But more, it has strengthened my relationships to my family, friends and loved ones. It has made me appreciate them all the more and to forgive them for being all too human! And it has given me the gift of a new family of friends. A family whose geneses sprung from unfathomable horror, but nurtured in the humanity of self-sacrifice, dedication, humility and the luck of being able to contribute to a greater effort. Some arrived via this medium and some from our interactions at Respite 1, at Ground Zero, as volunteers with the Red Cross. Thank you all for taking care of my city. I had hoped to complete the final chapters of my observations by today. But I still have not learned the lesson of time and relativity. I am posting what I have and will add and edit continuously until it is done. So, as ever, here is my latest update. Here is my latest update. It includes Part 1 of my adventures with the American Red Cross, some more photographs and a links page (which also has some photographs). My thanks for all your patience. I am committed to finishing this narrative and I thank you, too, for your support and your many kind and encouraging comments and responses. It is seven months since the disaster and there isn't a day when I don't remember it or relive, in my mind's eye, the events during that day and the days following. Despite what your personal feelings are about America's response and our governments actions (and I have problems with some of them too) let's not forget that mankind has suffered from the actions of that day, but hopefully humanity has found a new role in our lives. All the caveats below still count! A special thanks to my friends Don Cohen and Rich Cooperman for their fine editing! P.S. I added the little link to "A Word A Day" at the bottom of this page because it is, I think, one of the great little things about the Internet that makes up for all the crap that we suffer now in the hands of the marketers and other crackpots. This is a set of emails to friends that became a diary of the events of 9.11.01 as I saw them. It includes accounts of two trips to "Ground Zero" on 9.12 and 9.13. The emails were forwarded on and I soon had a large list of recipients spanning the globe. It was suggested that I put together a web site to permit more people to see them and the photographs. After far too long, here is the first incarnation. As with my writings, this site will be updated. However, everything I do seems to take longer then I want or expect. I beg your patience. As of today I am finishing another writing entry and trying to get more of the photographs up on this site. I warn you that some may find my writings or actions disturbing or upsetting. In a few of the responses I received some questioned whether or not I should have, in their view, broken the law by crossing police lines to get down to Ground Zero. There concern prompted a fair bit of contemplation and soul-searching on my part. I decided that a minor breach of law and ethics in an attempt to provide help and relief in extraordinary and difficult times is permitted and necessary. I will shortly put up one of the more impassioned emails and my response to clarify my decision. Most of the diary entries begins with an introduction to the entry. Some of what is there will make no sense now that the entries are in this forum. I also warn you that I have not had the courage or the strength to go back and read my entries and they are, therefore, filled with typos, grammatical errors and down right poor sentence structure. I beg your indulgence but as with most things, I will get to it! I would like to thank Lisa (www.linhaus.net) for her help in getting this site done. Jana for her help and dedication to getting the photos edited and for her support. Tim for his help in getting the site hosted and being a good friend. Layla for her love, support and for sharing her strength during these difficult and wondrous times. And, of course, all of you who encouraged me to continue to write. Sorry it took so long!